Family-owned MSC’s rapid expansion is set to continue with the delivery of newbuild Divina in May, says Richard Sasso. A rendering of how the state-of-the-art Divina, the third vessel in MSC’s Fantasia Class, will look. With the number of ships and passengers crossing the world’s seas steadily rising, it’s easy to forget that the cruise industry still remains in its infancy. 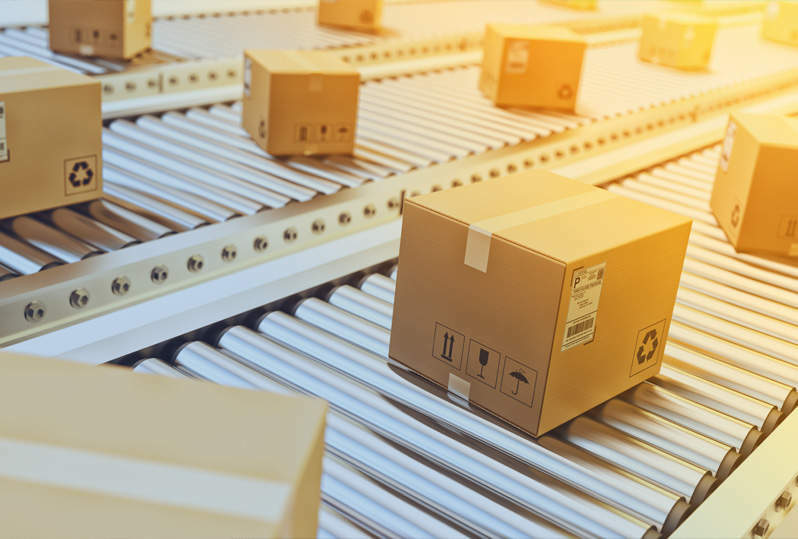 Even with growth as impressive as it is, large swathes of consumers in mature and emerging markets remain untouched and uncruised. The current economic climate is unlikely to change that pattern. As an industry cruising has proved remarkably resistant to the contractions that few in the travel sector have been able to escape. And, although the tragic Costa Concordia incident may slow growth in the short term, there remains a fundamental optimism in the cruise trade that is hard to shake. Those companies that have the opportunity to expand must also face the challenges that come with growth. Designing and constructing vessels capable of attracting the next generation of cruise passengers is a task of considerable complexity, which is often spread over many years and demands a wide range of voices, ideas and skills. 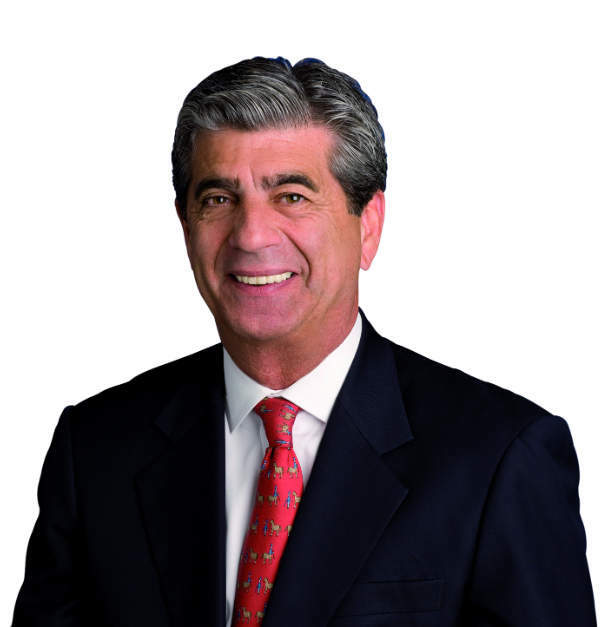 Richard Sasso is a man with considerable shipbuilding experience; during his eight years at the top of MSC Cruises, he’s overseen a great deal of change. Since 2003, a lot of that work has involved vessel construction, with MSC in a process of rapid expansion across three different classes of ship: Mistral, Musica and Fantasia. 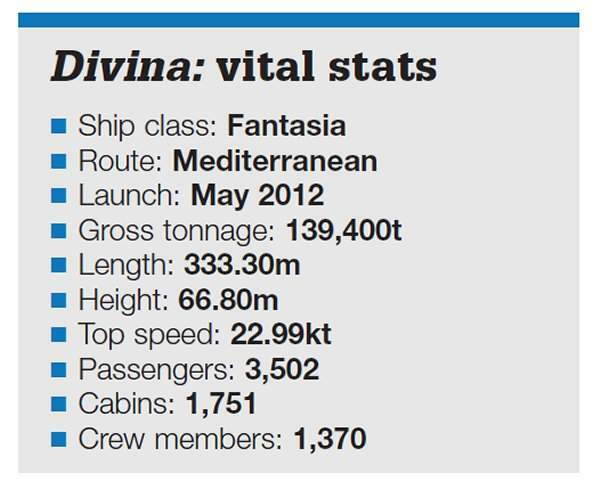 On 26 May 2012, Divina, the final ship in MSC Cruises’ Fantasia range, is due for delivery off the coast of Marseille, France. Weighing 139,499t and with a capacity of 3,500, this premium cruise liner boasts a range of innovations, design quirks and entertainment facilities, all of which aim to capture the attention of first-time cruise holidaymakers. Indeed, Sasso is clear that, when designing and constructing new vessels, the customer must be treated as sovereign. "I think cruise companies have to look at trips and vessels from the consumer’s point of view," he says. "What is it that they want when they go on vacation? Can we incorporate that into our new ships?" This focus on the passenger has been worked into various aspects of Divina‘s design, with a particular emphasis on relaxation; for example, the Garden Pool comes with an infinity area that offers superb views of the sea ahead. The ship’s spa houses a Balinese massage parlour and a Turkish bath. And De Jorio, the Italian design firm partnering MSC on the project, has entirely reconstructed the interior with added layers of sophistication and nuance. "I think cruise companies have to look at vessels from the consumer’s point of view. What is it that they want when they go on vacation? Can we incorporate that into our new ships?" "The ship is beautifully designed," Sasso explains. "Well decorated, with great service, excellent food and real style. It’s a vessel that carries 3,500 passengers, but still maintains a great space ratio. There is a lot of public space available to guests, as well as an incredible array of activities and entertainment. But the key feature is certainly the redesigned Yacht Club, an exclusive ship-within-a-ship concept that affords passengers the highest level of confidentiality and privacy." Sasso is particularly pleased with the Yacht Club concept, a private VIP area with round-the-clock service, upgraded cabins, and personal pool, lounge and restaurant facilities. The club is designed for guests who want a serene, luxury experience without losing the amenities of a larger, energetic cruiser. Divina – named in honour of Italian film goddess and patron of MSC’s fleet Sophia Loren – is the third ship the cruise line has built in quick succession. Although it captures many of the most popular features of Splendida and Fantasia, there’s no question of simple duplication. It builds on the technology of its forebears with a string of changes including a state-of-the-art propulsion system, new alternators and chillers, and a more efficient, environmentally friendly water system that uses 40% less power than the previous model. "We aim to be on the cutting edge of technology and innovation," Sasso says. "Even though we’ve delivered a third ship in the class, throughout the design and construction process we discovered yet more technological advancements. These changes are always integrated into an MSC vessel that is under construction." This approach is symptomatic of MSC’s broader policy towards maintenance. "If there is a better way to sort garbage and treat wastewater; if there is a better way to paint the hull with environmentally approved hull codings – then these are incorporated into existing ships," says Sasso. "Whenever the industry at large changes, these advancements are built into new vessels and, where possible, retrofitted into existing ones." The ship is being built in partnership with STX’s Saint-Nazaire shipyard. The shipyard has been responsible for the construction of both previous MSC classes, Musica and Mistral, as well as the existing class. It is, according to Sasso, this long-term working relationship between shipbuilder and shipowner that has served the company so well. "We have stuck exclusively with STX and we’ve enjoyed a great relationship with the team there," says Sasso. "As shipowners, you need to know that you will get what you paid for, that the ship will be delivered on time and that the quality of the delivered vessel will be at or above the expected level." Trust and reciprocity are often regarded as prerequisites of good business and Sasso explains the benefit of a sustained shipyard partnership in exactly those terms. "When there is a strong personal relationship, you come to trust one another," he says. "We’ve developed this trust factor between the yard and our owners over more than a decade, and it’s really extraordinary. The relationship is at the highest level – between the ownership of the yard and the ownership of the company – and we dedicate an enormous amount of time to making sure the ships are perfect. MSC is a family-owned business that applies its family values to the ongoing shipbuilding process." MSC was established in 1970 by Italian businessman Gianluigi Aponte. Since entering the shipping industry, Aponte and his wife have remained directly involved in all aspects of the company, in particular the newbuild process. Sasso believes firmly in this ‘family-like approach’, where the relationship with the shipbuilder is driven right from the top and company policy reflects the judgements of an impassioned core rather than the views of disconnected shareholders. "What makes us most successful and gives us a far more dramatic opportunity for growth than other companies is the fact that we are privately owned," says Sasso. "We make decisions with the enthusiasm and intellect that comes solely from owners – not boards, not investors, not shareholders and not stock markets." The judgement of owners who have nothing but the company’s interest in mind is, for Sasso, key to effectively managing the construction process. And the same stands for design, where Sasso again describes a centrally managed approach as fundamental.
" MSC is a family-owned business that applies its family values to the ongoing shipbuilding process." "We have core designers from De Jorio that are involved in all aspects of ship design, but the owners still contribute ideas," he says. "The inner management comes up with the concepts, which are then further explored and crystallised in the core design company. That keeps everything in a tight circle, making sure we are doing the best we can. It’s the same hands-on family approach that means the right choices are made." While Sasso views proactive ownership as the most valuable way of managing a long-winded, multifaceted process such as shipbuilding, he is careful not to underplay the complexities and challenges that naval designers face. Ships are vast and the number of potential contradictions that may appear in their design is unfathomably large. "The designers are crucial for establishing synergy and commonality, and also for providing some new inventions of style. These things require a great deal of finesse." 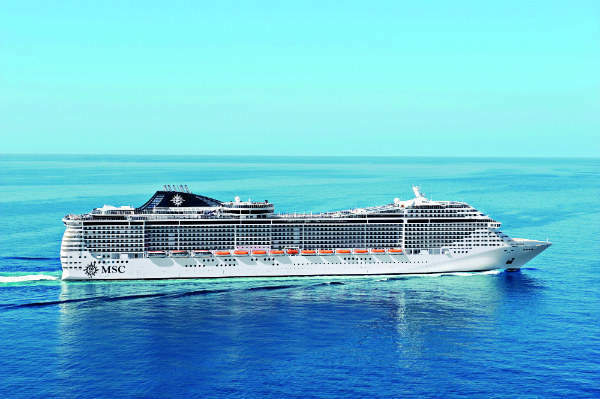 Sasso considers MSC to be the fastest growing brand in cruise history and he may well be right. Since 2003, the cruise line has launched eight ships across three different classes, which now carry in excess of 1.2m people a year. In a sense, that expansion reflects the industry’s wider growth prospects, but MSC’s Mediterranean heritage certainly positions it well within the sector. "We are in an advantageous position because markets that were once seasonal are now all year round," he says. "There were no winter cruises in the Med 20 years ago. Today, we have our biggest and newest ships staying in the area all year long." MSC’s approach to shipbuilding and business in general might sound like something of an anomaly in the modern age, but for Sasso that highly compact inner circle has made possible a culture of trust and clarity between shipowners, builders and designers. This ultimately means the company vision is reflected in the final product without error or disruption. Sasso is confident that, with this approach in mind, Divina can help shape a competitive niche for MSC as new markets expand worldwide.